Back from Chicago and right back to work! Had a great time – my boys were totally spoiled by family… now back to the real world for all of us! If you missed Pursuing Vintage yesterday, please check out yesterday’s post about the Calling it Home One Room Challenge. I’ll be a linking participant – and it’s not too late for you to participate, too! Now for today’s Featured Find……. 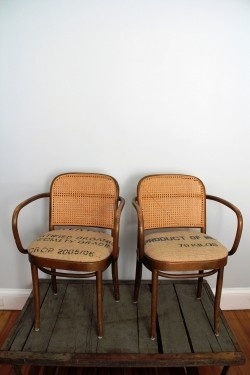 a fun set of Thonet/Hoffman style “Prague” chairs. I have two armchairs and four side chairs. Let’s take a closer look! This set is made in Poland by FMG. I don’t know an exact age, but I do know they are vintage, and have been around the block a few times. I think they still have a lot of life left in them, though! The finish on them is worn. Two of the side chairs seem to be more worn than the others — one has some sagging caning and there seems to be a bit of splitting in the bentwood on the back. They all have wear to the feet. The previous owner had rubber stoppers on the feet, and when I took them off it looked like someone had tried to rebuild the feet, in a way. This is not on all of them. I would recommend refinishing these or painting. The great news is that the caning is in really good condition, and the chairs are sturdy. A close up of the wear to the finish. Underneath the chair – nice craftsmanship. Close up of one of the feet that was “rebuilt”. Not all chairs have this. I don’t want to pick at it to see what is underneath – if you wanted to paint it, you could paint right over it. Cute as a desk chair. 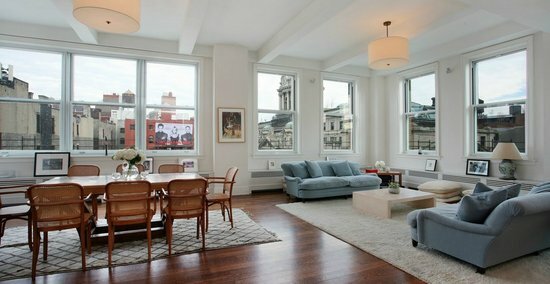 I like the contrast of the natural wood chairs with the white tulip table. 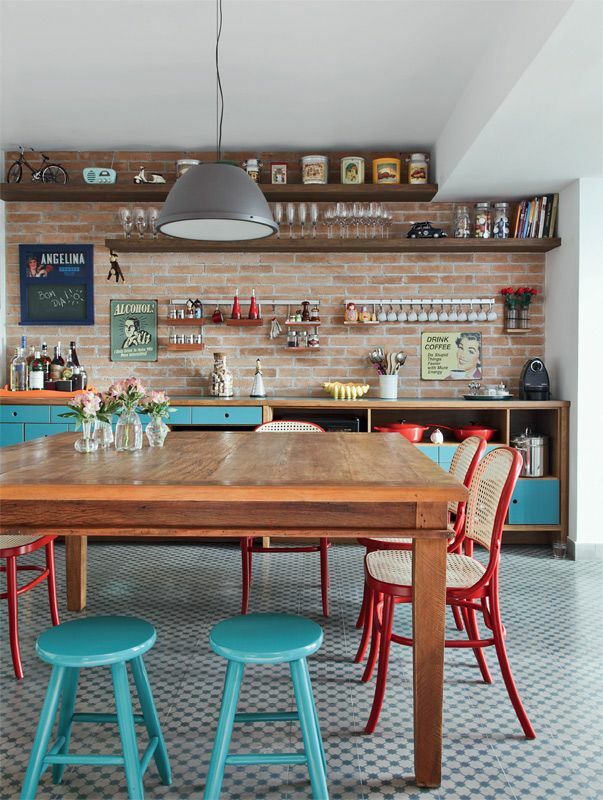 Also, nice use of mixed chairs (although all Thonet). 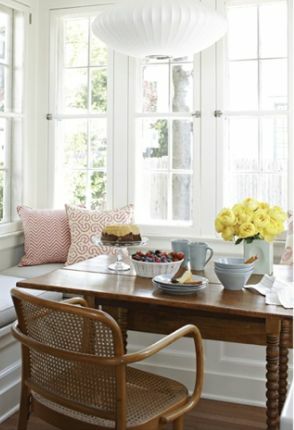 So pretty around a dining table! You could upholster the seat if you’re not a fan of the caning. Cute painted black (or get funky with another color!). 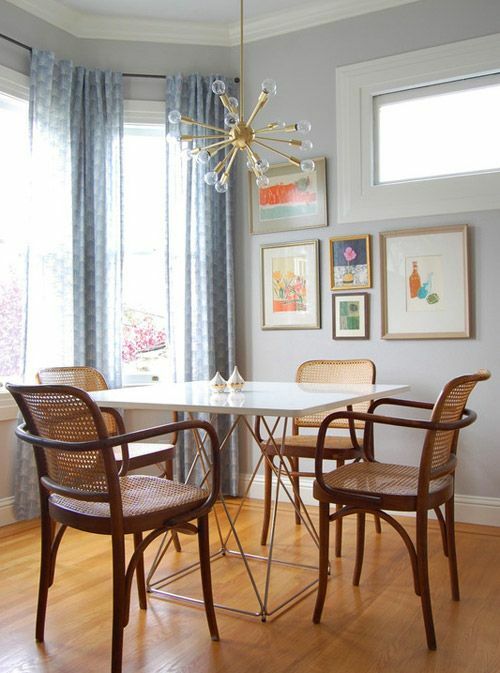 You can find these chairs (and other great finds!) in the Pursuing Vintage Shop. Oh! And don’t forget to follow Pursuing Vintage on Facebook!